Azalia Smith Hackley an African American singer and Denver political activist born in Murfreesboro, Tennessee in 1867. Her parents, business owners Henry and Corilla Smith, moved to Detroit where she attended Washington Normal School, graduating in 1886. Smith, a child prodigy learned to play the piano at three and later took private voice, violin and French lessons. 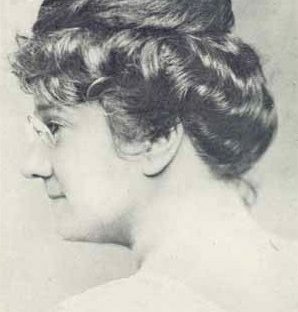 Emma Smith worked as an elementary school teacher for eighteen years. Despite her stellar training, Hackley did not pursue a professional career. Instead she spent much of the rest of her life training a younger generation of singers including Marian Anderson, Roland Hayes and R. Nathaniel Dett.